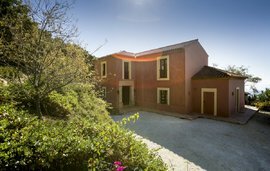 It is reached by a 24km road inland from the Costa del Sol, is a 90 minute drive from Malaga airport, a 50 minute drive from Gibraltar and has easy access to Marbella and Sotogrande and the beaches and golf resorts of the Costa del Sol. The medieval town of Ronda is only a 40 minute drive away and the historical Andalucian cities of Sevilla, Jerez, Cordoba, Granada and Cadiz are within easy driving distance. In recent years Gaucin has become home to a growing number of expatriates and is known for its international community of artists. The stunning beauty and wonderful location of the village and its surroundings have made it increasingly popular as a lifestyle choice and holiday location. 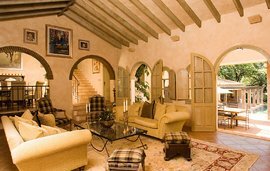 It remains secluded and unspoiled, authentically Spanish, stunningly beautiful and tranquil and yet with an interesting and diverse community and all the amenities you would expect for comfortable living. 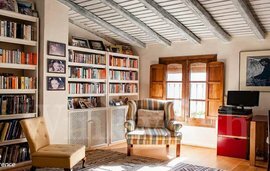 Gaucin, nestled in the foothills of the Serrania de Ronda mountains is unique for its unspoiled breathtaking beauty, spectacular views and accessibility. 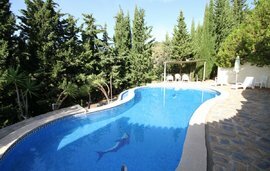 It is an easy 90 minutes from both Malaga and Jerez airports and an hour from Gibraltar. 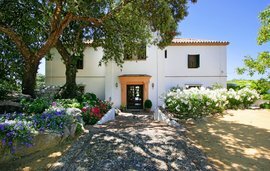 It is within comfortable reach of the Costa del Sol with its luxury resorts and golf courses, the wonderful beaches of Tarifa and the Costa de la Luz and the historic destinations of Sevilla, Cordoba, Cadiz and Granada. Its situation is unique in Andalucia with spectacular views down across the rolling hills to the Mediterranean and Gibraltar and beyond to the Riff mountain of the north coast of Africa. 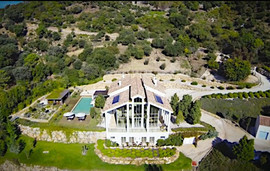 Let us assist you in finding your perfect villa, apartment, holiday home or investment property in Gaucín, Spain. For more details, call us on + 44 (0) 208 299 2722 or contact our estate agents in Spain. No other area in Europe offers this vantage point over the entrance to the Mediterranean and the meeting of two continents. It is far away enough to offer a tranquil and peaceful lifestyle yet close enough to all the amenities for comfortable modern living. In the last 30 years Gaucin has seen an influx of international foreign residents, many moving away from the increasing growth and bustle of the Costa del Sol. There is an established community of artists and several high profile residents making Gaucin an interesting and diverse community. The area offers a lifestyle unique in southern Europe, with its champagne air and unspoiled natural beauty in an authentically Spanish environment. Also as an investment choice the area is without doubt second to none in Southern Spain.